When you were talking to a coworker, were you embarrassed when a huge gob of spit fell out of your mouth out of nowhere? Did you wake up this morning to a large pool of drool on your pillow? If you find this overproduction of saliva disgusting and inconvenient, keep reading this post from your dentist in Park Slope. It turns out that there are many causes of saliva overproduction, and your dentist wanted to pass a few ideas on to patients so they could figure out a better idea of what could be causing it! It might sound simple, but one of the most common causes of drooling is a poor sleep position. 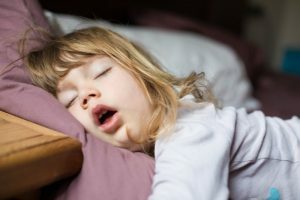 This is likely the case if you happen to sleep on your stomach, allowing saliva to easily fall out of your mouth, even though dry mouth is more common when you’re asleep. To fix this, try sleeping on your side or, even better, your back. This should help mitigate some of the drooling on your pillow. You can also purchase a wedge pillow, which is designed to keep you in one position while sleeping. When your nasal passageways are blocked, it forces you to breathe out your mouth. This makes it easier for saliva to slip out. If you have a sinus infection or allergies, you’re far more likely to have a stuffy nose, and therefore, higher saliva production. Visit your local pharmacy for over-the-counter medication to get yourself treated. If the problem persists, see your ENT (ear, nose, and throat) specialist for closer examination. Make sure to tell your doctor if you have a history of traumatic brain injuries or strokes as well. These can easily lead to increased drooling. Fortunately, there are many options for treating chronic drooling. For example, medications like scopolamine are designed to intercept nerve impulses that reach the salivary glands. There’s also glycopyrrolate, however the side effects of this medication may be too much for some patients. Another treatment is wearing an oral appliance at night. This device assists the mouth with swallowing by repositioning the tongue and ensuring that the lips stay closed. For more severe cases, Botox injections can help relax the muscles by paralyzing them. These are ideal for patients with neurological disorders that cause drooling and are administered every few months. When you want to stop drooling, sometimes you need to seek professional medical advice from your Park Slope dentist. Schedule an appointment today to see how you can stop drooling for good! 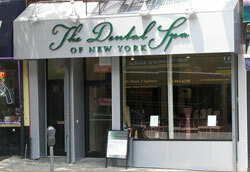 Dr. Frank J. Sapienza earned his DDS degree at the New York University College of Dentistry. Since then, he’s emphasized the importance of personalized care and patient comfort at his practice, helping patients achieve the most accurate diagnosis possible for their oral problems. To learn more about his practice, contact him through his website.